Testimonials - ABC BURGLAR ALARM SYSTEM INC.
Just notes, to say thank you for the exceptional service you have provided me at the Annie B. Rose House. I have continuously been very impressed with your service and helpful attitude. You make doing business with you a real pleasure and I just wanted to let you know that it does not go unappreciated. - Lori T.
We became a customer because Cropp Metcalf dissolved and I am not sad. Our battery in a contact died and the service manager told the hubs the type of battery and how to do it. Hubs was able to change it but alas, the whole contact decided to die (of course, all things die at 2:00AM :( ). Called Service, they not only scheduled me for the next day, they said they would make me first so I could make a meeting! And then, since we were running late, the tech told me what he did and asked I call the office and tell them what he did and pay them! I called and voila, I am now writing this awesome recommendation because they are wonderful! - Jennifer F.
I hope that the company will continue to be the TOP RATED ALARM COMPANY that I think it is. I have always felt confident in knowing I had protection while at home or while I was away from home. I would call your granddad during his tenure and your dad during his and never were they too busy to answer questions or address concerns. It was customarily that they handle issues personally and made sure that one was satisfied with the outcome. Both men were approachable. 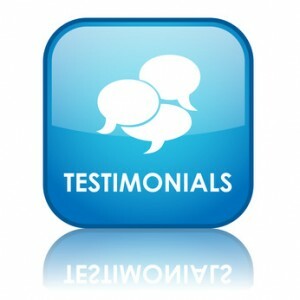 They certainly built a reputation and I can conclude that my experience with the company has been excellent" - Gloria E.